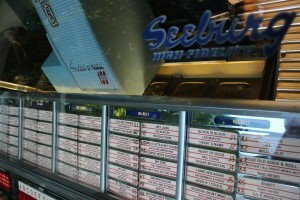 Welcome to the new homepage of New Play Jukebox, a West Michigan jukebox repair company. We service a number of different brands and models of jukebox from the early 40s record playing mechanisms up to modern-day CD jukeboxes. New Play primarily services western and central Michigan. We also service classic stereo and radio equipment. We also have an established booth at the West Michigan Antique Mall, where we sell a variety of working classic stereo equipment, old tubes, radios, and often a jukebox. Click here to visit the home page of the West Michigan Antique Mall to find directions and more information.